Forever 21 reported on Twitter that a few weeks after the launch of Faith 21, their new plus size line (online and in select stores on Friday!! ), the fast-fashion chain will be launching a new contemporary line called Love 21. "Love 21 will have the trends you find at F21 but with more focus on fabrication and trims, and a more sophisticated feel," read the tweets. What next, Hope 21? But seriously, you know I'm excited! Clockwise from top-left: Strappy studded heels from Zigi Soho ($59.95); Cut-out details on real-leather Steve Madden Luxe Collection heels ($42 on clearance); Metallic/Python gladiator flats by Modern Vintage ($129.95 - ouch! 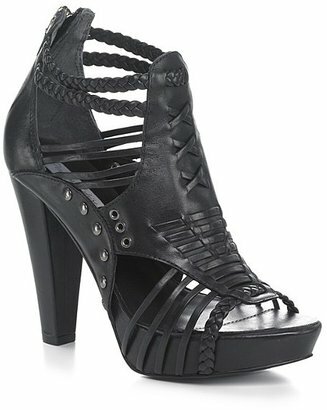 ); Gucci-inspired platform heels (also similar to the YSL Tribute heel) by Diba ($49.95). A few days ago I checked out my nearest DSW to see what was in store for spring, and I must say I was very impressed. While the most current styles weren't priced that much lower than what you'd pay at a department store, they had a fantastic selection and you can always wait for a sale (or sign up for the DSW rewards club online or in-store to get coupons via email and snail mail.) I tried on just about every shoe in the clearance section and ended up buying a pair of Calvin Klein black leather platform pumps from $40, marked down 80 percent (you do the math, hehe). Incidentally, those are the only shoes I did not photograph yet, that pic will have to come. Do you have love for DSW? What's your strategy for scoring great deals at this popular shoe warehouse? Huarache-inspired high heel sandals by Lauren Ralph Lauren. 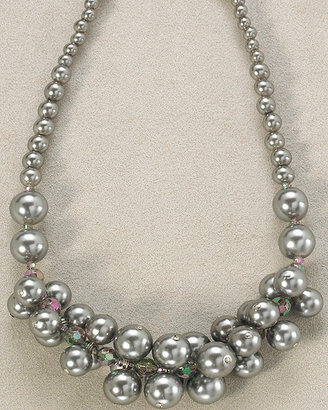 Clusters of pearl beads give a new twist to an old classic. Would you wear one of the options below? Here's a shoe that takes the gladiator trend that's been popular since forever, and blends it with the huarache sandal trend that's hot for spring/summer 2009. 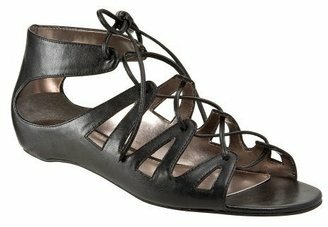 It's the eye-catching "Pascale" High Heel Huarache Sandals by Pour La Victoire, and it'll cost you $318 at Bloomingdales.com. 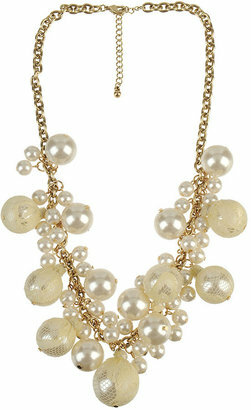 To get the look for less (although still not cheap), check out the Chinese Laundry "Bounty." Get it in black, camel or brown at Zappos.com for $128.95. These Naomi Lace-Up Sandals by Pour La Victoire epitomize what's hot in footwear for the summer. Made with genuine boa snakeskin (a fact that saddens me, even though I'm guilty of wearing leather all the time), these gladiator style sandals come in either black or silver for $100 to $168 at FreePeople.com. Finally, you can tap into this trend with Forever 21's Cocktail Gladiator Sandals (where do they come up with these names?? 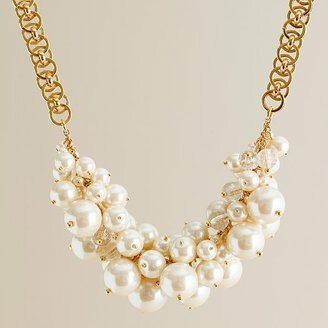 ), just $22.80. I'm a fan of all three but I'd have to try them on to see how they'd make my legs look (could get "stumpy" with all those straps). Would you wear this style sandal?